The Haunting of Hill House has some new company. 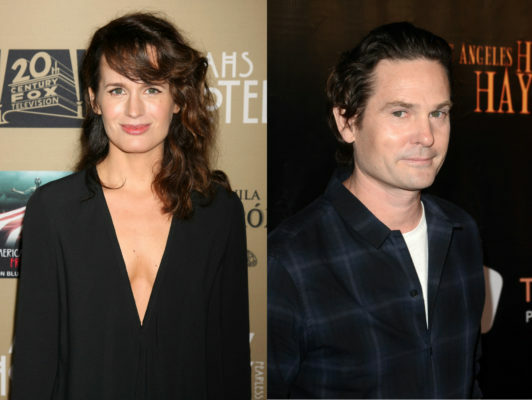 According to The Hollywood Reporter, Elizabeth Reaser and Henry Thomas have joined the upcoming Netflix TV show. Based on the novel by Shirley Jackson, the classic horror story follows the strange, paranormal experiences of the inhabitants and guests at the mysterious Hill House. The novel has been adapted for film twice, first in 1963 and in 1999, as The Haunting. Netflix has ordered 10 episodes of The Haunting of Hill House. In addition to Reaser and Thomas, the cast includes Carla Gugino, Michael Huisman, and Kate Siegel. No premiere date has been announced yet. What do you think? Have you read The Haunting of Hill House? Will you watch the Netflix series?